While he may have been the final lot of the first session, you could say that the best was saved until last as he really is a smashing individual. Although a yearling, he looks like a racehorse already and is physically imposing. Mark Baker, from Hallmark Stud, had said of the colt: “He has a wonderful temperament. The last few days have been really busy and he never batted an eyelid. 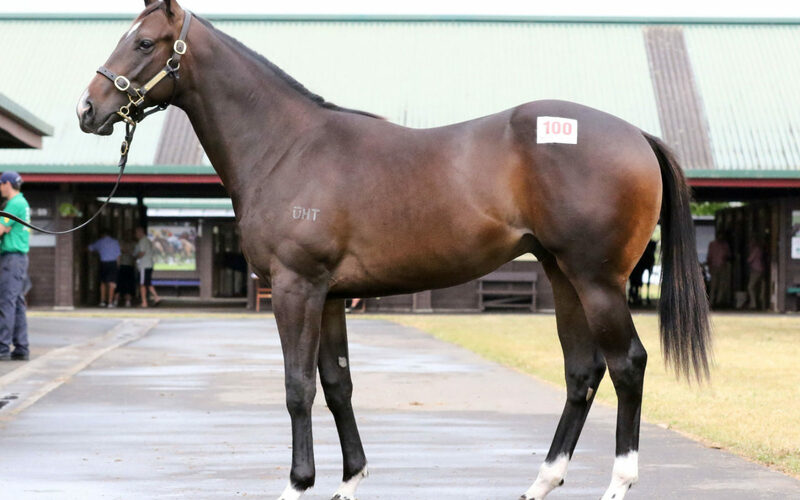 He’s just a good, strong and correct moving horse – one of the better colts at the sale”. Written Tycoon (Iglesia) stands for $110,000 and right at the top of the Australian stallion ranks, as a leading First Season Sire and Champion Two-Year-Old sire. 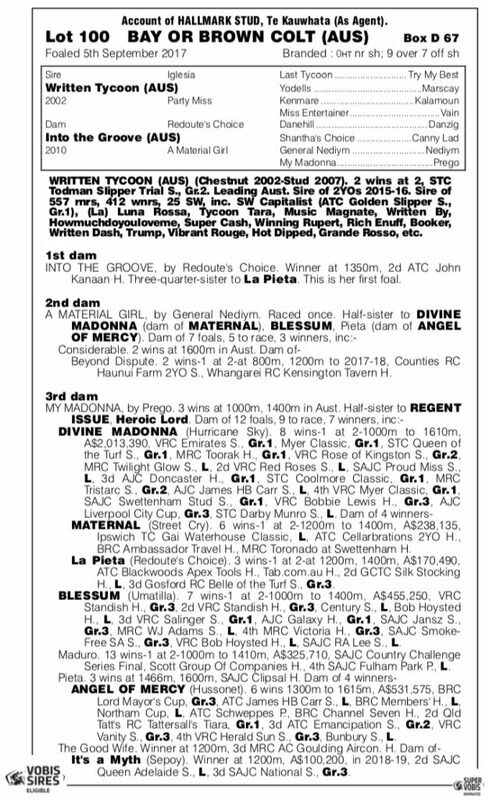 The colt is the first foal from a winning mare by Redoute’s Choice; the undisputed king of Australian sires’, Redoute’s Choice is a son of the most successful sire of all time Danehill (Danzig). “He’s a beautiful colt and really was a must have for us,” said Te Akau principal David Ellis.